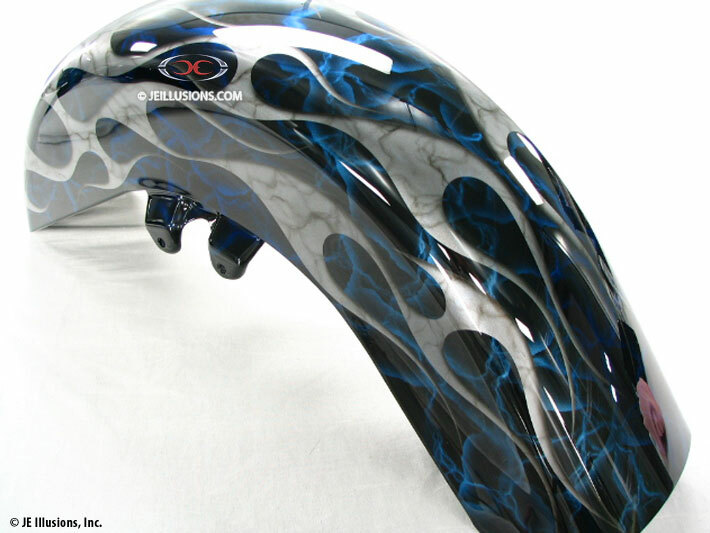 Hand airbrushed electric blue alcohol flame effects that blend into jet black make up the under base on this paint job. 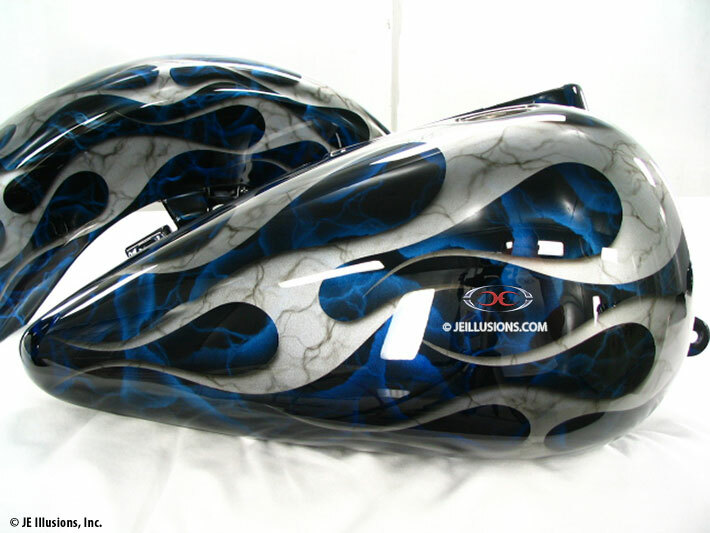 Topped off with a metallic silver blade design with rounded edges and shadowing for even more depth, along with our signature, air brushed marbling effects running through it. A second set in red demonstrates how changing up the color changes the entire ride.